Here is another tasty super-herb to try! 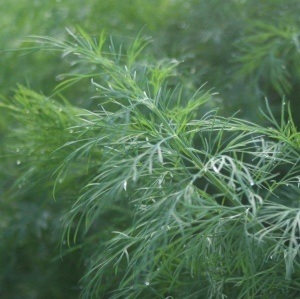 Dill is a less widely grown herb but well worth the effort. The leaves are sweet tasting and are great in salads, and in savoury dishes containing fish. The seeds are a really good addition to pickles. These plants are easy to grow. Sow the seeds directly into the soil (or a larger container) from late March, and germination takes 2-3 weeks. 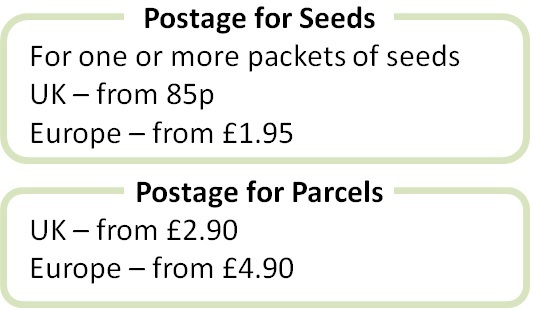 Plants grow to a height of about 50cm and are ready to harvest 60-80 days from sowing. This is one of the better herbs to grow yourself as the leaves are best harvested FRESH and used within 1-2 days of cutting. Once trimmed, leaves grow back to provide more, and they can be used until the plant starts to produce flower stalks. Leave the flower stalks to grow into flowers, which are beautiful, and then mature into seeds. The seeds can be harvested and added to your home-made pickles in the autumn. 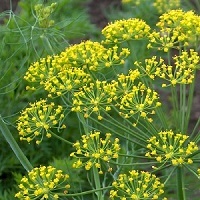 Dill is packed with anti-oxidants and nutrients and is claimed to have chemo-protective qualities. 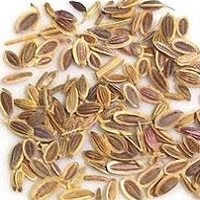 It is a great herb to boost your healthy plant intake. 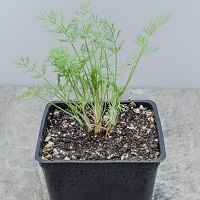 See here for more information on buying, sowing and growing Dill 'Superdukat', a variety with a good compact shape and a lovely flavour.